Having heard learned counsel appearing for the parties, we direct that the CBI shall file current status report on or before 24.04.2019 in the Registry of this Court. The Registry is directed to serve the copy the said status report to the parties thereafter. 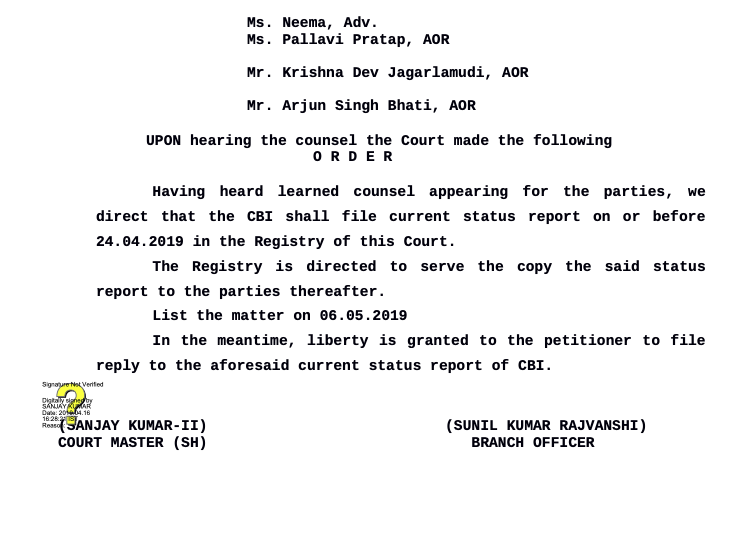 In the meantime, liberty is granted to the petitioner to file reply to the aforesaid current status report of CBI.